A loan of $1,000 helped to purchase new supplies such as clips, scissors, hanging files, notebooks, pen etc. Yusra, 32, lives with her parents. She is single and she has her own business. It’s a bookstore and also sells office supplies, photocopying etc. Her bookstore is near her house which she can buy variety kinds of materials such as files, pens, clips, calculators…etc. Yusra wants to grow her bookstore to have the ability attract more customers and improve her income. As a result, Yusra is asking ALIBDAA for a loan of $1000, in order to purchase new supplies such as clips, scissors, hanging files, notebooks, pens. Yusra is very thankful for Kiva’s partner ALIBDAA. 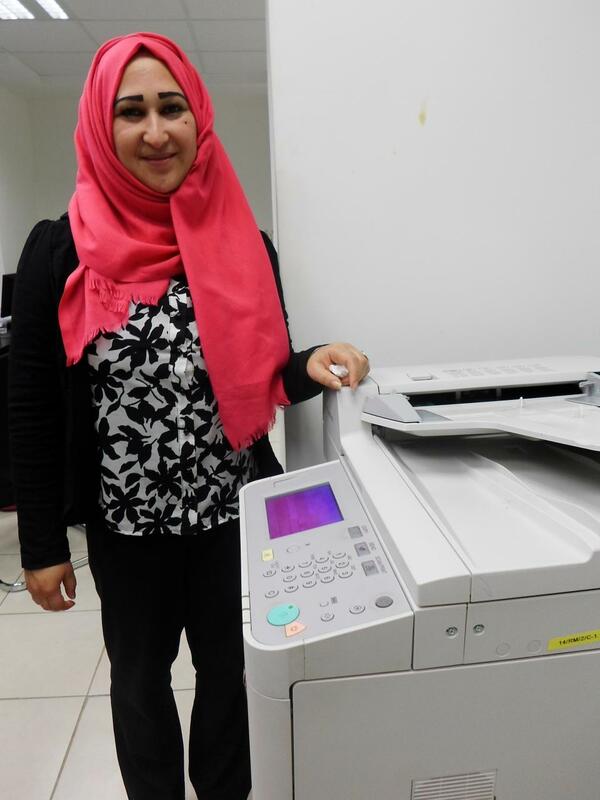 This type of loan, called “Sayedati” in Arabic, is part of Alibdaa's efforts to reach underserved women in Palestine. The loan is unique in that it is one of the only products available in Palestine that does not require a guarantor. Through this product, Alibdaa is working to reach women in Palestine who would be unable to receive a loan otherwise or are not being served by other microfinance institutions. By supporting this loan you are helping an underserved woman in Palestine develop her new or existing small business or cover other financial expenses. Alibdaa Microfinance is a microfinance institution in Palestine with the goal of increasing entrepreneurial activity, especially among women, by providing sustainable financial services. They currently work in five areas within the West Bank, focusing on small villages and more rural parts of the West Bank. Alibdaa seeks to keep their loans small in order to reach the neediest populations in Palestine. By offering their products in the Shuafat refugee camp in East Jerusalem, Alibdaa will be the first Palestinian Kiva partner to lend in Jerusalem. Alibdaa focuses on cash-flow based lending and smaller loan sizes, working with local village groups and councils to target more rural areas. By targeting women, Alibdaa is also creating secondary income sources in many Palestinian households, while empowering women in Palestinian society.